Last week at a banquet held at the Montgomery Prattville Marriott in Alabama to benefit the Autauga Education Foundation, University of Michigan coach Jim Harbaugh announced that Jim Minick, associate athletic director at U-M, had returned to the program. Harbaugh had suspended Minick last month following his June 9 arrest on suspicion of drunken driving. Minick, who was suspended indefinitely by Harbaugh on May 13, is now back in the football program, although there are “unspecified” consequences that will continue, according to Harbaugh who said there is a plan in place, and that Minick is following through with that plan. Minick was hired as associate athletic director at U-M in January after retiring from an extensive military career in the Marines. On May 9, Minick was involved in a single vehicle accident just outside Ann Arbor; he was arrested at approximately 2:30 in the morning for operating while intoxicated. Minick did not make any excuses after being arrested, commenting to Fox 2 that he would face the consequences of his actions. He also said in his brief statement that he regretted the difficult position he had put his family and employer in. An earlier report indicated that Minick refused a Breathalyzer test, and that police conducted a search warrant for blood analysis. Pittsfield Township Director of Public Safety Matt Harshberger told reporters at the time of the incident that it was not clear what charges Minick would face. In Michigan, refusal of a Breathalyzer test results in a one-year driver’s license suspension. Harshberger said that Minick would have a Secretary of State (SOS) hearing regarding the refusal at some point in the future, and that Minick’s license was not confiscated. 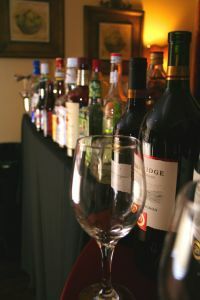 In Michigan, first-time OWI (operating while intoxicated) offenders will face serious penalties which may include a maximum of 93 days in jail (although most first-time offenders do not serve jail time), 360 hours of community service, fines of as much as $500, driver’s license suspension, and possibly court-ordered completion of an alcohol education program. In addition, the offender will have a criminal record, which can have a negative impact of other areas of his/her life. Driving under the influence is a very serious matter which can impact your career, reputation, and more. If you have been arrested or charged with any drunken driving offense, consult with a capable Michigan DUI defense attorney right away.